Find out how to transform your photo mood from summer time to winter season. 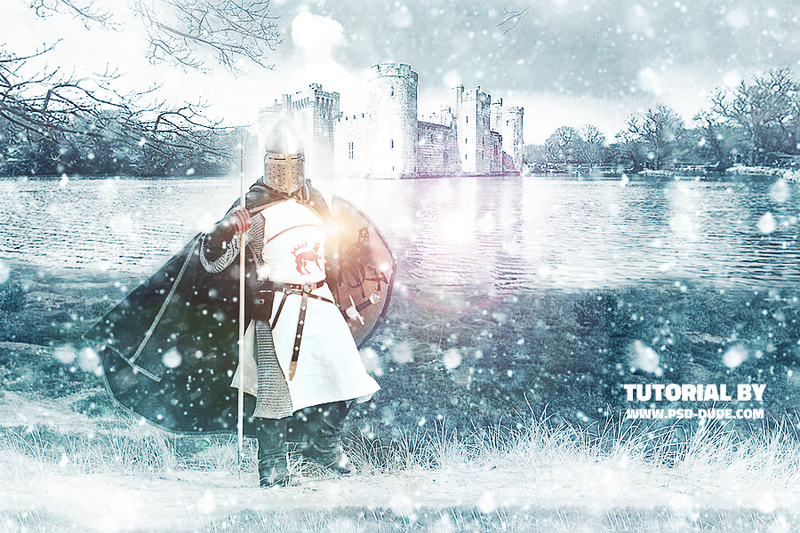 In this winter Photoshop tutorials you will learn how to add realistic snowfall effect using snow brushes and filters. 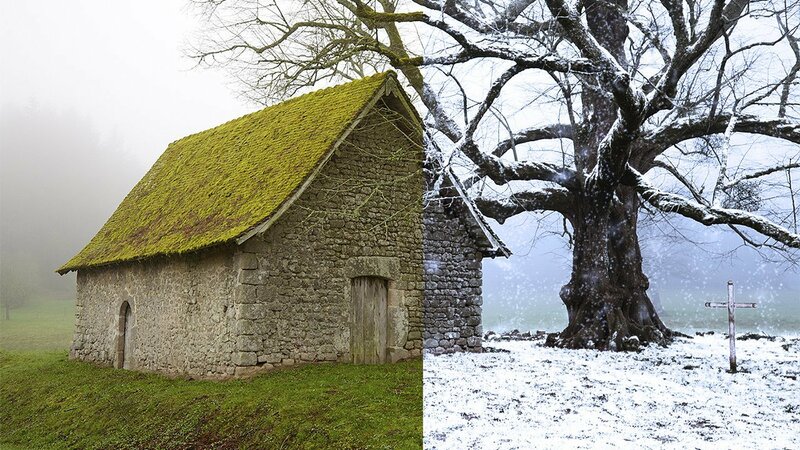 And there are also some advanced tutorials that show you how to make a complete snowy winter transformation by adding snow in Photoshop. 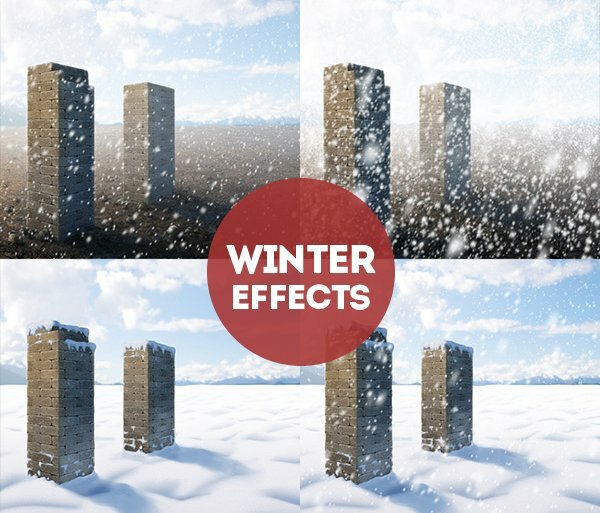 Related to this resources you might also be interested in some cool snow Photoshop brushes. 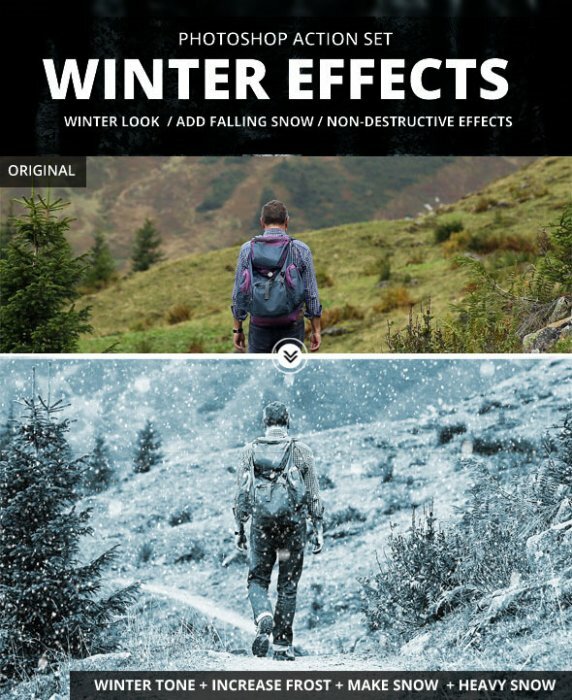 If you want to create a beautiful winter scene with falling snow effects in just a few steps, you can try these great Photoshop actions. 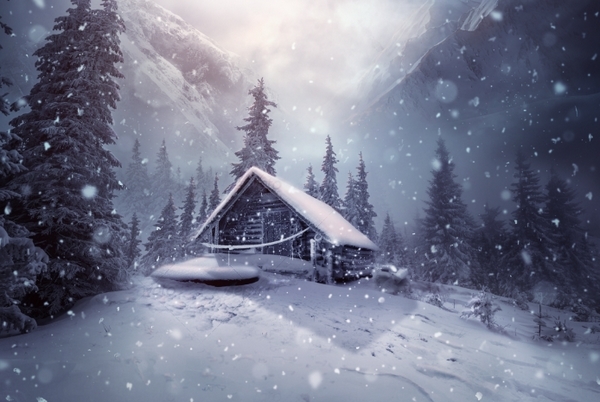 7 comment(s) for "Add Snow and Winter Photoshop Effects to Your Images"
In this tutorial you will learn how to manage the most popular forms of frozen water: icicles, falling and lying snow, frost, ice, and hail. You will be using a whole range of Photoshop tools like Layer Styles, Custom Brushes, Blending Modes, Filters, Patterns, and the Mixer Brush Tool will all feature. Great tutorial for learning digital painting advanced techniques.